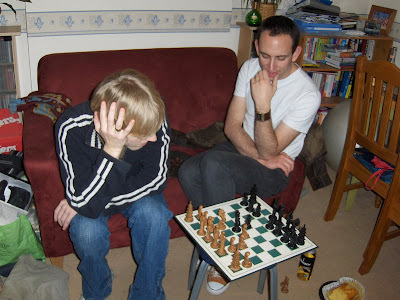 Although Facebook Chess is fun, apparently its not the same as playing real people with real pieces. This game went on for a very long time! 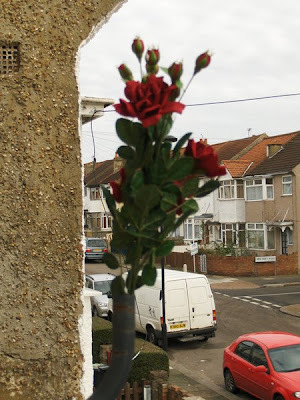 Some random flowers have appeared in the old sky dish mount on the wall outside our kitchen. Very strange. Maybe the squirrels put them there as a peace offering for tormenting us last year! Sainsburys have had a lot of offers recently on their real ales and our local large Sainsburys at Streatham Common has a decent range of bottled ales. I have been trying a variety of different ones while the offers have been on. 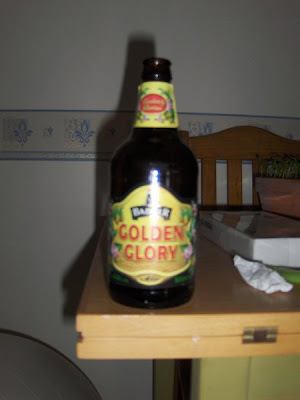 The best one I have had so far is Golden Glory from the Badger brewery. Apart from tasting like liquid gold, the smell is amazing! It has a peachy aroma that has had me sniffing the bottle long after I have finished the beer. I recommend it!